On April 1st, when Fondation Claude Monet opens again for a new season, it is early Spring. On the hills of the Seine valley, the pastures are still grey, waiting for a new grass to grow. 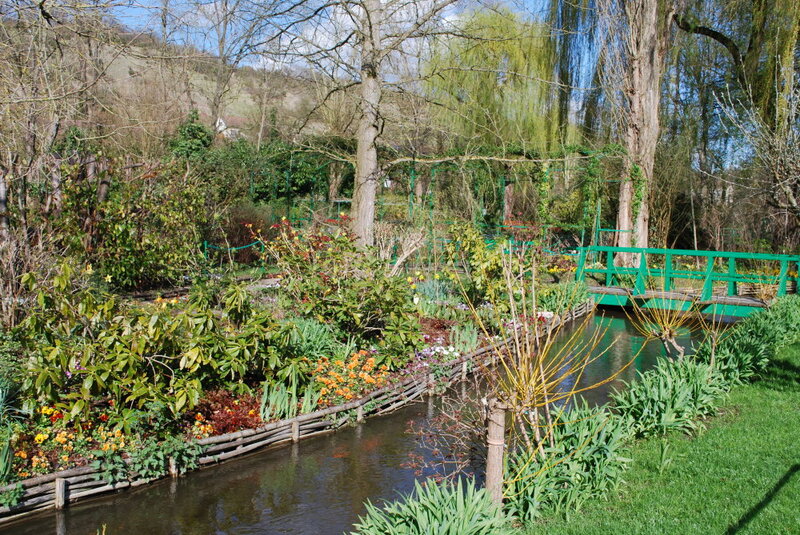 But in Monet’s garden, the first flowers display their colors. The weeping willows open their buds and swing their freshly born leaves over the pond. On the river side, the small basket willows stretch their orange twigs. These traditional trees are useful to prevent the banks from slipping into the river, and they are lovely too. It is still Winter right now, but we are all looking forward to Spring.